In Chapter 3, we talked about making a great template for your landing page. You’ve followed the advice offered in that chapter and designed a landing page you’re pretty proud of. You or someone else within your company has written some great copy to go with it. You’ve maybe added videos or a testimonial or two as well. Of course, you have an eye-catching, attention-grabbing call to action. You could have the greatest landing page in the world, but if no one’s there to see it, what’s the point? Your landing page is ready, but now it needs the essential ingredient so it can start converting customers. That’s traffic. The ways in which modern marketers generate consistent traffic are evolving. Depending on your audience, some tactics may be more effective than others. Your primary focus is going to be two kinds of traffic: traffic from new users or leads (who can potentially become customers) and returning traffic from your loyal customer base. If you’re just sitting there, waiting for traffic to come to your landing page, it’s time to make a change. In this chapter, we’ll discuss the tactics and strategies you should use (as well as some you should avoid) to generate traffic. The following tactics and strategies are recommended by some of the world's top marketers. Depending on your audience and their receptiveness to these tactics, there may be some tricks that you can focus on more exclusively. Consequently, there might be some strategies that you should omit. Make sure your CTAs are ready to convert on the landing pages. Before you start your initiative to drive traffic, you might want to A/B test several versions of your CTA. Remember, subtle changes like the size and shape of your CTA button, its placement, the text font, the language, and the color can all make a big impact. Once you have high-performing CTA, add them to the most popular pages on your site. You might also want a CTA on your blog and your homepage. Chart out a landing page testing strategy and implement the same. Paid search marketing is a branch of marketing that relies on partners and search engine sponsorships to spread your advertisements. If you use search engines, you will pay upfront to see your ads on top of search result pages for specific keywords. If you choose to partner a site, you will have to pay them for hosting your ad for a limited time-period. Sometimes, websites use the pay-per-click model i.e. each time a lead or customer clicks your ad on that site, they make money. This is also known as pay-per-click or PPC advertising. Make an appropriate PPC landing page to take the full advantage of this referral traffic. We talked about PPC in both Chapter 2 and Chapter 3 of this guide. Guest blogging is a great way to get new sets of eyes on your company’s content. To start a guest blogging arrangement, reach out to several marketing blogs you read. Pitch them a few topics you could write for them. Once someone agrees to guest posting your content on their site, return the favor and offer them to write a guest post on your site too. These posts shouldn’t be too sales-y. Instead, you want to inform and educate this new audience the same way you would if you were writing content to your own audience. You might want to research the interests of the guest blogger’s audience so you can write in a way that appeals to them. When a lead subscribes to your newsletter or a customer purchases a product or service, you should redirect them to a thank-you page after subscription/checkout. This page is more than simply a courtesy. You’re also using this as an opportunity to promote further products/services based on the ones the customer just purchased. If you don’t sell products or services, then you can always offer them links to related blog posts, eBooks, or webinar replays. Beyond just the sales aspect, you’re also furthering the customer relationship with a thank-you page. Social media is one of the most important tools in a marketer’s arsenal. From Facebook to Twitter, Instagram to Pinterest, YouTube to LinkedIn, and all the platforms in between, cultivating a strong presence on social media can pay off bigtime. The audience you have on social media will click the links you post, such as videos, images, text posts (think blog posts), and more. As of writing this chapter, Facebook is in a bit of hot water. They changed the algorithm in early 2018, where posts from family and friends got top billing. There are major privacy concerns as well. Facebook appears to have provided user data to a third party. Facebook is still the main jewel in the social media crown, though. Every lead, customer, and client of yours is going to expect you to have presence on Facebook. So make sure you don’t overlook this important social media channel. You’re going to use Facebook for more than just social media posts. You can also make Facebook landing pages to drive traffic to your website. These integrate with Facebook Ads, which are paid advertisements that look like status updates. The ads appear in users’ feeds to entice them to explore a company and its products/services. When a user clicks your Facebook Ad, they will be brought to your Facebook landing page. This will act in lieu of a landing page on your website. For instance, let’s say you wrote an eBook and want to advertise it on Facebook. You would buy several ads for promoting your eBook on different platforms. You would also make a Facebook landing page pertaining to the ad. When a lead or customer clicks the Facebook ad for your eBook, they would be redirected to your website’s checkout page, where they could buy the eBook. For best success with Facebook landing pages, it’s recommended you structure and design the ad and the landing page to be as similar as possible. They should promote the same product/service (this is kind of a no-brainer, yes, but still worth mentioning), use similar language, and have the same color scheme and design elements. A lead nurturing campaign is designed to transform a lead into a customer. It includes email marketing (which we’ll discuss next), audience segmentation, and small offers that lead to a main offer. Essentially, you’re baiting the lead with valuable offers that are small and inexpensive. After the lead bites on those offers, you present a bigger offer, and then maybe your core offer. By then, the lead should be ready to become a customer. 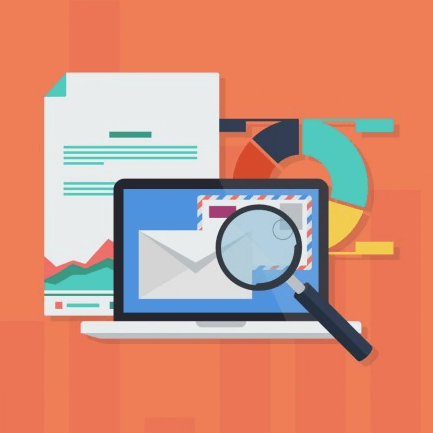 Email marketing is a key tactic in a lead nurturing campaign. Once a lead signs up to your email newsletter, you can immediately begin sending them email messages. Audience segmentation comes into play here once again. You want to divide your audience by their problems, interests, and needs. After you split your audience into these various ‘buckets,’ you can use an automated email software to send several versions of a similar email to each audience segment. Now that you already have the lead signed up and engaged, the point of your email marketing campaign is two-fold. First, you want to keep them engaged over the long-term through valuable and highly relevant content. You also want to get them to buy. Of course, emailing too often can have the opposite effect, turning the lead away from you. They’ll take their business elsewhere. You might want to follow the advice from CoSchedule, which produced a stunning infographic on email times and frequencies. Generally, it’s recommended that you email your customers on Tuesdays, with some recommendations talking about Wednesdays and Thursdays as well. You have plenty of times throughout the day to send your messages. If you’re a morning person, try emailing at 6 a.m. or 10 a.m. More of a night owl? The hours of 2 p.m. and 8 p.m. through midnight are also preferable timeslots. It can sometimes be tempting to take shortcuts for a huge influx of traffic. While the following tricks might work in the interim, they are not how you build and nurture customer relationships. They end up creating a bad reputation for your company in the long run. Raise your hand if you’ve been fooled by a clickbait headline or advertisement in the past. You see them all the time online. These are the ads that show average-sized people bulking up to bodybuilder status because of a secret powder. You might also see a woman in her 50s with wrinkle-free skin because she eats a mystery fruit. You get the idea. These ads would probably take you to spammy, bogus websites trying to sell you a dozen unrelated products. Don’t join the ranks of them by making clickbait ads yourself. Clickbait can also be used as part of a content marketing campaign. By writing confounding, mysterious headlines that promise to reveal a secret, curious users will want to click and learn more. The problem is that most of these clickbait articles don’t actually answer the questions they pose. Instead, they link to unrelated websites. There’s not often room for clickbait if you’re a legit, respected marketing business. Don’t let yourself get swept up in the hype. Being deceptive and misleading kind of goes hand-in-hand with clickbait, but it certainly warrants its own separate section. As the creator of your company’s product or service, you definitely know what said product/service can and cannot do. Do not lie about your the capabilities to try to win over a bigger audience. This may work in the short-term, but eventually, your house of cards is going to collapse and you’ll be revealed as a fraud. A negative reaction may seem better than no reaction at all, especially if you’re not getting any traffic. You might decide to post something shocking just for the sake of it. Provocative content like this will only hurt your company in the end. Whether you go the political, sexual, or religious route, your company will get plenty of attention, but for all the wrong reasons. Your would-be customers will remember this stunt and avoid you like the plague. It’s one thing to make a cultural misstep and post something in poor form accidentally. That happens to even the biggest and best companies. Doing it on purpose though, just to get people talking, is no safe foundation to build your business on. With your perfect landing page template completed, you’re now eager to start driving traffic to your landing page. There are good and better ways to do this. Posting provocative, negative, hateful content is not one of them. Neither is misleading people about the capabilities of your product or service. Clickbait, too, has no place in your campaign. Instead, you want to focus on social media and building a presence on those platforms. Email marketing, strong CTAs, guest posting, and paid search marketing are also other viable tactics. Be sure to try all these at one point. Track them to see which works best for you using analytics. In the next chapter, we are going to share a five-star recipe for building a high-converting landing page. Chapter 1: What Is a Landing Page?